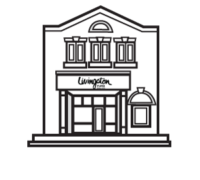 FAQs | Livingston Furs Ltd. I inherited a fur coat from family. What do I do with it? Is a sheared fur going to be as warm as an un-sheared fur? In most cases, it is. Fur’s warmth comes from its under-fur, which insulates. At times, we shear the under-fur down as well, to achieve a sleeker look, and lighter weight. But there is ‘nothing like the warmth of real fur’. Can I store my fur at home?—I have air conditioning. Isn't a cedar closet a good place? No. Home Air-Conditioning is not cold enough, nor does it have the right humidity.Our state-of –the-art “Airatized” storage vaults are refrigerated, and kept under strict humidity control. Homes are too warm, too dry, and with fluctuating humidity, all of which dries out your fur. And your closets are even hotter! Cedar Closets dry out a fur, as they remove the moisture from the air. Do you buy used fur? Generally not. But it is always good to call us, and we are happy to have a look at your garment and discuss all your options. We have at least 20 different suggestions about what to do with an older fur coat. Why not consider turning it into a lighter, more casual (sheared) reversible?! What about …a 3/4, or…a vest? The new 7/8 length is lighter, and it’s still warm. It’s ‘the new full length’, says Alan Livingston. Your fur has value in your own hands. Another possibility is to trade it in on a great new lightweight fur or shearling. How do I care for my fur at home? Hang it in a cool closet, preferably on an outside wall. Don’t leave it in a bag. It’s important for it to ‘breathe’. Being such a fine operation, aren't you expensive? We can’t have stayed in business for over 100 years, if our pricing wasn’t fair and reasonable. It’s important to look at the quality and craftsmanship of what you are getting. Especially in the fur business, there are no shortcuts. 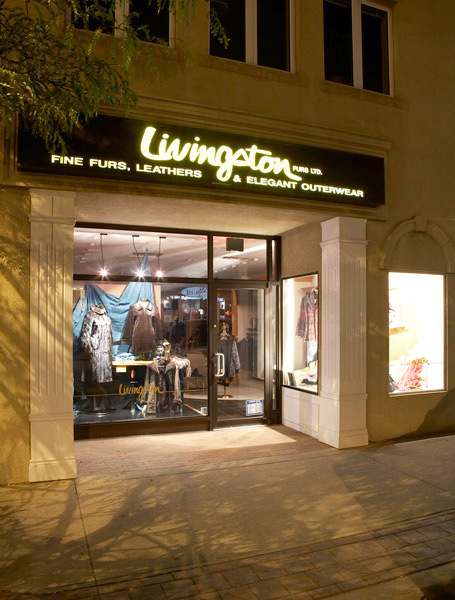 At Livingston’s, we don’t cut corners.’You get what you pay for’. I care about protecting our natural environment.... Should I wear fur? I’m glad you asked! Furs are one of the most environmentally sound types of clothing you’ll ever wear. Furs are natural, ecologically sustainable, and recyclable. The sustainable use of renewable natural resources is promoted by the IUCN (the International Union for the Conservation of Nature) and other conservation authorities. All the furs we use are abundant; no endangered or threatened species are used from the wild, and the majority of furs are now farm-raised. In producing a fur garment, everything is recycled, so there is no wastage. Furs do not pollute and there will always be a supply, as long as human development doesn’t destroy the natural habitats of animals. In fact, using furs (and other sustainable activities) provides an incentive to protect wilderness areas. (The real threat to wildlife today is the destruction of habitat). Synthetics, on the other hand, are problematic. Many people don’t realize that synthetics are produced from plastic fibres, which are made from oil. Remember the Gulf of Mexico Oil Spill? That horrendous ecological disaster killed millions of birds, fish, waterfowl, and animals, not to mention the livelihoods of many in the Mississippi Delta. This will have negative consequences probably lasting for decades. • What other piece of clothing is so durable that it can last for 30 years or more, and still be restyled? What can be more ecologically sound? Furs are often passed down from generation to generation. And after many years of use, furs are ultimately biodegradable. • Furbearer populations are abundant in Canada; they are managed very carefully by our provincial and territorial wildlife departments. Biologists tell us that there are as many beaver in Canada today as when Europeans first arrived; now that’s an ecological success story! • 80% of furs today are farmed or ranched; Scandinavia is the biggest producer, but Canada produces some of the best quality farmed mink.